As Geovation prepares for this Thursday’s showcase, Keegan Wilson, Senior Press Officer at Ordnance Survey, ponders about a significant and early example of what Geovation is. 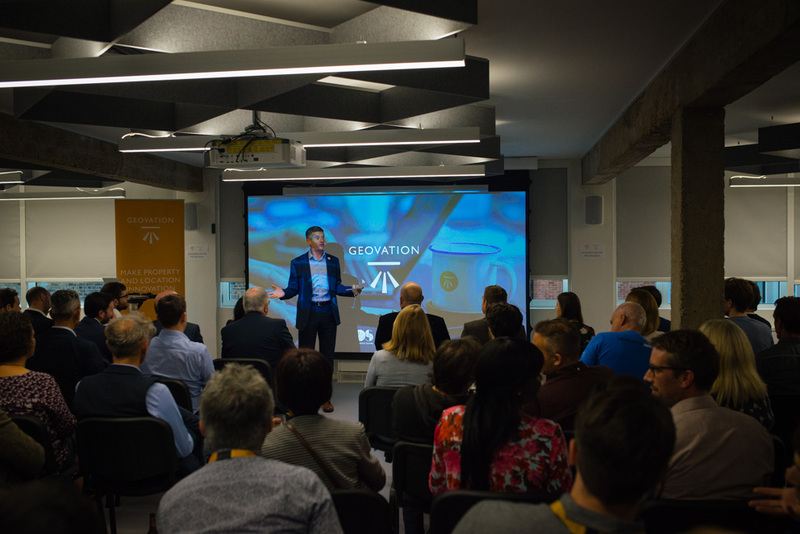 A shot from 2018’s Geovation Showcase. For most people connected to it, Geovation is the pragmatic art of using the bedrock of accurate location data and intelligence to help identify opportunities and create solutions. An early example of this type of innovative thinking occurred in Soho, London, in 1854, when cholera swept through the area. Not satisfied with the authorities’ explanation that ‘bad air’ was the cause of the hundreds of deaths, local physician John Snow created an accurate map of the area, plotting on it the exact location of each of the deaths that the cholera had brought to the community. Using this map and the accounts of local witnesses, Snow was able to prove that shared neighbourhood water pumps were in fact responsible for the epidemic, and this geospatial insight of his was the integral factor in prompting the authorities to act. What followed was a decade’s worth of improvements to public health and sanitation facilities that we still benefit from today. If a picture says a thousand words, then maps, especially maps like John Snow’s, can talk and talk. Today’s digital maps containing vast amounts of data, some of it in real-time, can seemingly talk forever. The beauty of these maps, be they digital or paper, is that they go a long way to providing a bigger picture. Look at a map and in just a few blink,s there is every chance you can soak up all the information you need. A map makes it much easier to understand context. There’s no need to read pages of documentation. There’s no need for countless PowerPoint slides. With a map, the information is right there. You see and understand it instantly. A map will put you in a much better position to make decisions. Often maps are taken for granted and go unnoticed, but geography underpins all we do in life – everything happens somewhere. Though that may seem obvious, it is only in recent times as we move towards a data-driven world that this realisation has been better understood. As a result of this new-found importance we now see the value of location data and intelligence rapidly growing. Take a brand-new iPhone out of its box and the only feature that does NOT have a location feature is the Notes app. In recent years, the Government has increasingly recognised the importance of location and the role it plays in our lives. Last year it established the Geospatial Commission, an organisation working with six core partner bodies which is aiming to unlock up to £11 billion in hidden value for the national economy each year. This is clearly great news for our industry, and we hope that the partnership of Ordnance Survey and HM Land Registry through the Geovation Hub is helping the nation meet this ambition. Ultimately, Geovation is about giving opportunity and providing the right environment for accurate location data and intelligence to flourish.